Like many other services and products seeing the impact of inflation, vet bills have been rising in recent years. Coupled with the rising expense of food and other pet care essentials, being a pet owner has become a more costly, while still rewarding task. As a pet owner, caring for your pet by exercising them and feeding them well is not the only long term commitment you make. In order to maximise the health of your pet and in turn the time you have with them, it?? ?s important that you protect your pets health through measures such as inoculations, annual vaccinations and regular treatments for fleas and worms. In addition to these basic and necessary precautions, you may also find that from time to time you are forced to take your pet to the vets for other unplanned treatments resulting from accident or illness. In the past some pet owners have relied on a combination of fate and their savings to see them through any unforeseen circumstances concerning their pets such as illness or accidents. However, with many finding their nest eggs seriously depleted, pet insurance is fast becoming the smart option. 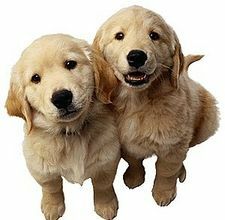 Due to competitiveness in the market, insurance for household pets is now much more affordable than it once was. Pet Insurance offers insurance on an annual or whole of life basis, which can be tailored to the needs of you and your pet. This will help you to plan in advance for any eventualities that could otherwise lead you into financial hardship. In addition to covering the cost of vet?? ?s fees many insurance policies now offer extra benefits such as money towards advertising for the safe return of your pet if it is lost or stolen, or even a reward for the safe return of your loved one. Insurance policies can take account of your own health too and make sure your best friend is adequately cared for whatever circumstances occur. For example - you may select a policy which allows your pet to be taken into emergency boarding should you be taken ill and have to go into hospital for a few days. These are the kind of features which show how pet insurance has developed from simply providing peace of mind, to making caring for your pet an easier task over the course of your lifetime and theirs.